The Trump administration recently released their request for $1.15 trillion in federal funding for the 2018 fiscal year. While the administration has touted the request as the first step toward balancing the federal budget by 2027 and cutting unnecessary government spending, the proposal has already seen fierce opposition from both sides of the aisle. The chief criticisms are directed at the budget’s cuts to social programs, which have been proposed in part to pay for a boost in defense spending. The proposal requests $639.1 billion for the Department of Defense (DoD), including $574.5 billion in base funding and $64.6 billion in Overseas Contingency Operations funding. Compared to projections for FY18 in the Obama Administration’s FY17 budget request, the new budget represents an $18.4 billion increase. Even with the proposed increases, Sen. John McCain (R-Ariz.), Chairman of the Armed Services Committee, panned the budget as insufficient for defense and went so far as to give the budget a dead-on-arrival label. Despite the derision from Congress on the proposal, the request reflects a formal Major Force Program for space for the first time, intended to enhance the traceability and visibility of overall investment into the domain. Funding for space is up $349.1 million in the FY18 request as compared to projected levels from FY17. This increase is driven by substantial investment in space research, development, testing and evaluation (RDT&E), which offsets a decrease in space procurement. Investments and improvements in future technology underscore the Air Force’s intent to develop more resilient space capabilities in the face of an increasingly congested and contested operating environment. The Air Force also intends to start seven new programs in FY18, including Evolved SBIRS, the Space Surveillance Telescope, and Protected Tactical SATCOM. Though the overall SATCOM portfolio is down from FY17, SATCOM programs received noticeable attention in the FY18 request, including several new programs of record involving modernization efforts. The request invests $358M in Protected SATCOM, including AEHF, SMI, Polar and Protected Services. Protected Tactical Services and Polar Communications both saw new programs of record initiated to develop new and improved systems. 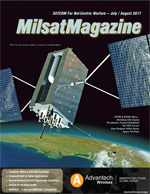 There is also increased investment in SATCOM terminals, primarily for the FAB-T program, which provides SATCOM capability over the Milstar and AEHF constellations. The request also reflects the Air Force’s continued consideration of what will replace the aging Wideband Global SATCOM satellites by sustaining investment into the COMSATCOM Pathfinder initiative, Wideband AoA, and COMSATCOM Pilot program. While presenting the Air Force’s space budget, Maj. Gen. Roger Teague noted that the Pentagon is “looking very aggressively across every mission area” to determine where commercial industry’s capabilities can be integrated into the overall architecture. While the emphasis on investment in future technology, commercial integration, and the level of attention given to SATCOM programs are encouraging signs, this proposal will likely only serve as a rough guideline for the forthcoming House and Senate spending bills. However, given the recent attention space has seen in Congress, it seems the Air Force and lawmakers agree that now is the time to invest in earnest to assure U.S. dominance in space. 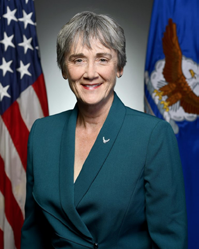 The White House recently swore in former Congresswoman Dr. Heather Wilson as the 24th Secretary of the U.S. Air Force, the first Air Force Academy graduate to hold the service’s top civilian post. Dr. Heather Wilson, Secretary of the Air Force. Wilson assumes her new position at a time when many believe the U.S. Air Force faces a number of serious readiness and modernization challenges. Space technology is undergoing a fundamental transition. 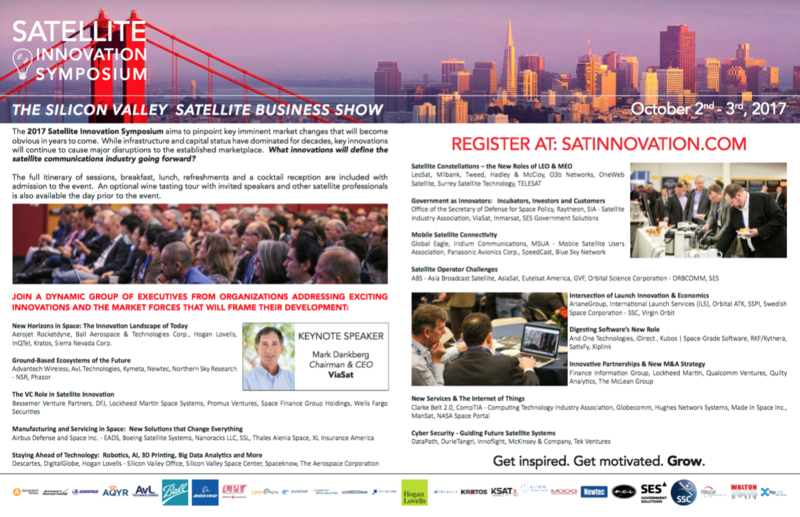 For example, a more resilient commercial SATCOM is coming on line. The digital payload on the new Intelsat EpicNG satellites provides added security and anti-jam capabilities, and the spot-beam architecture limits the area from which jamming can be effective. In her first public remarks as secretary, Wilson again pointed out the need to innovate faster. To this end, she expressed the need to increase the Air Force’s research budget and turn to industry. She has also stated that Congress needs to put an end to the budget caps that keep the Pentagon from building up its readiness and replace outdated systems. Wilson replaces Acting Secretary Lisa Disbrow, who filled the position temporarily after former Secretary Deborah Lee James left with the Obama administration. The incoming secretary knows well the value of research and development in the private sector. Most recently, she was the president of the South Dakota School of Mines & Technology, an engineering and science research university in Rapid City, South Dakota. In addition, Wilson has served as a senior advisor to several national laboratories on matters related to nuclear weapons, non-proliferation, arms control verification, intelligence and the defense industrial base. A native of Keene, New Hampshire, Wilson grew up around aviation. Her grandfather flew for Great Britain’s Royal Flying Corps in World War I and, after emigrating to America, operated an airport and helped establish the New Hampshire Civil Air Patrol. Her father started flying at the age of 13 — Wilson herself is an instrument rated pilot. Wilson graduated from the Air Force Academy in 1982 as part of the Academy’s third class to admit women. She was the first woman to command basic training and the first woman Vice Wing Commander. She was also a Rhodes Scholar at Oxford University in England, where she earned master’s and doctoral degrees after leaving the Air Force Academy. Wilson served as an Air Force officer in Europe during the 1980s. She left the Air Force in 1989 to become director for European Defense Policy and Arms Control for the National Security Council (NSC) under President George H.W. Bush during the fall of the Berlin Wall. Her book, International Law and the Use of Force by the National Liberation Movement, was published a year later. Wilson was a Republican member of Congress and represented New Mexico’s 1st District from 1998 to 2009. As a member of the House, she served on the Armed Services Committee, the Permanent Select Committee on Intelligence, and the Energy and Commerce Committee. The Air Force has a number of initiatives in motion exploring ways government and the commercial space industry can better collaborate in constructing the next generation of space architecture. With her deep background on both sides of the fence, Secretary Wilson seems perfectly suited to push that collaboration forward, maintaining America’s technological advantage in space. 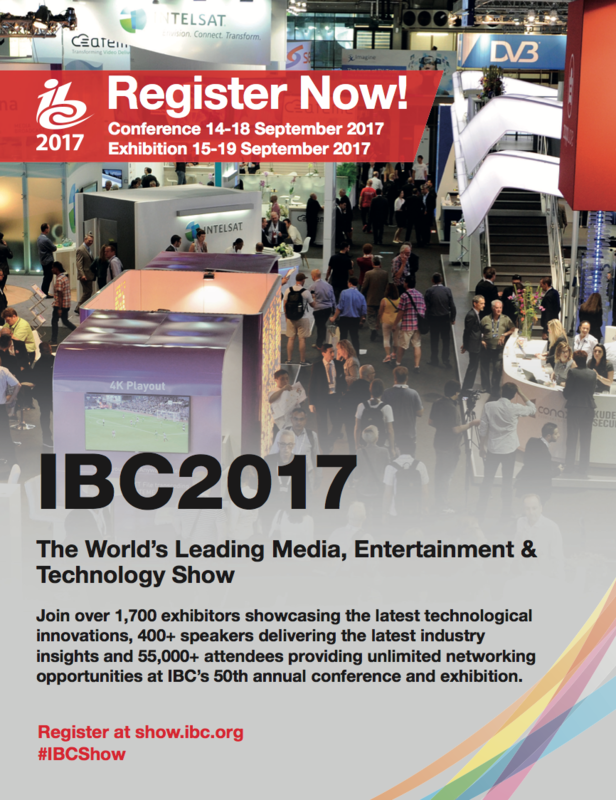 The preceding articles are courtesy of Intelsat General's SatCom Frontier infosite, the named author(s) as well as the company's editorial team.